On the Free Man Beyond the Wall podcast, I answer listeners’ questions about vaccines, the Israel-Palestine conflict, and the Federal Reserve system. Elan Journo and Danny Sjursen debated how to resolve the Israeli-Palestinian Conflict, and while Sjursen rightly won, both were wrong on a few key points. 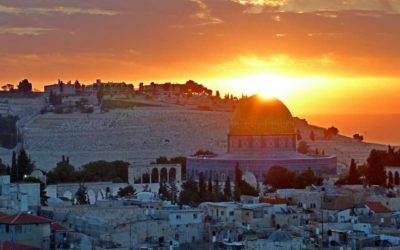 The Jerusalem Institute of Justice’s video “The Israeli Palestinian Conflict: 10 Myths Preventing Peace” is a work of propaganda that only perpetuates lies. 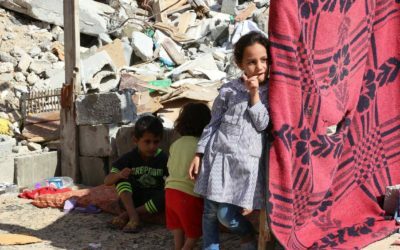 Apologists for Israel’s crimes against the Palestinians claim the state has a “right to exist” in an effort to legitimize the ethnic cleansing of Palestine. 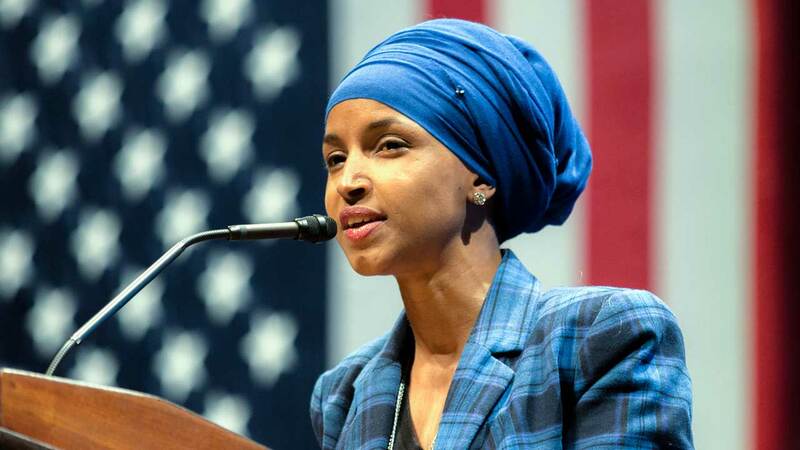 By falsely accusing Congresswoman Ilhan Omar of anti-Semitism, her critics are feeding into the very racist stereotype they claim to be challenging. 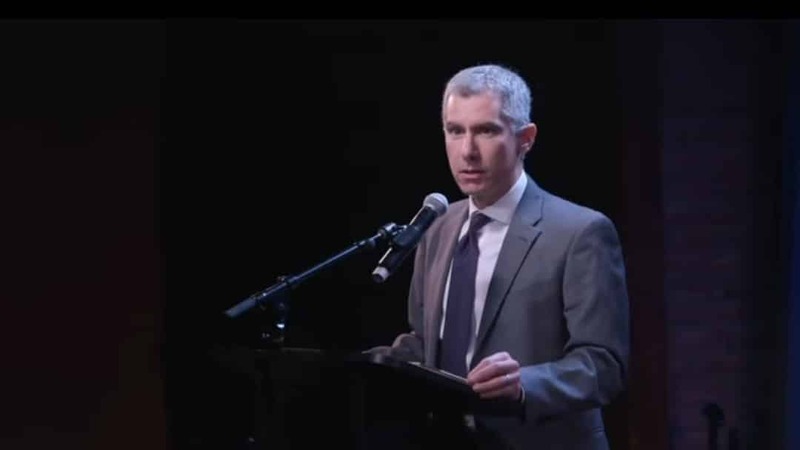 In this interview, I talk about how the government and media misinform the public about two important topics: the Israel-Palestine conflict and vaccines. 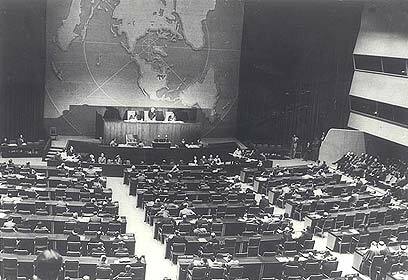 The UN ironically commemorates the International Day of Solidarity with the Palestinian People on the anniversary of one of its great crimes against them. 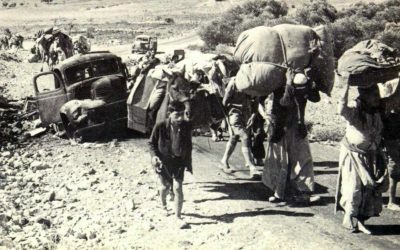 The significance of the 1917 Balfour Declaration is that it set Great Britain on a policy course that ultimately facilitated the Zionists’ ethnic cleansing of Arabs from their homes in Palestine. 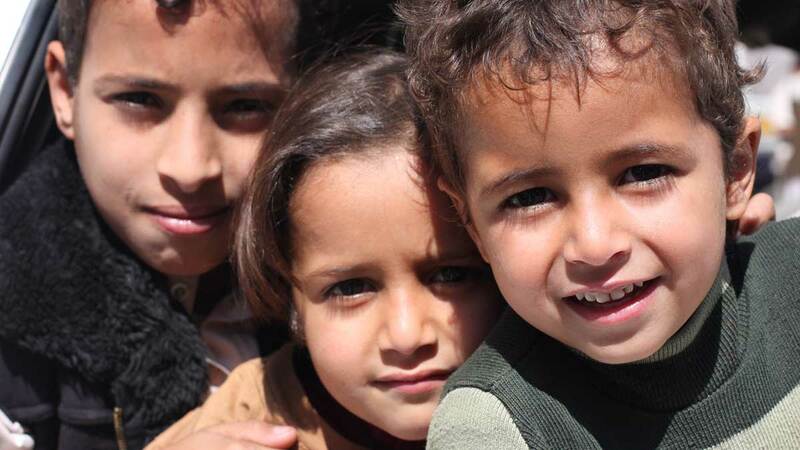 Why Haven’t Dead Yemenis Sparked US Outrage? Max Fisher Won’t Say. Max Fisher in the New York Times purports to explain why thousands of dead Yemenis haven’t sparked US outrage. Instead, he goes out of his way not to. 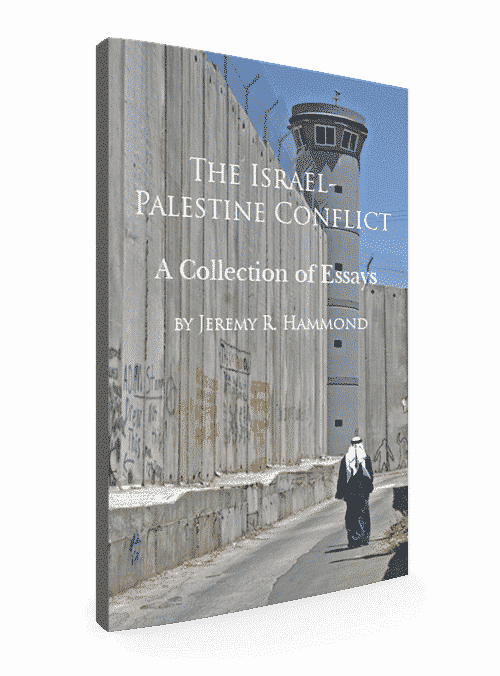 In this interview, I expose a new book on the Israel-Palestine conflict as a hoax and explain how mainstream media propaganda also deceives the public. Vox gets some things right in its “11 biggest myths about Israel-Palestine” feature, but in the end leaves readers even more misinformed. 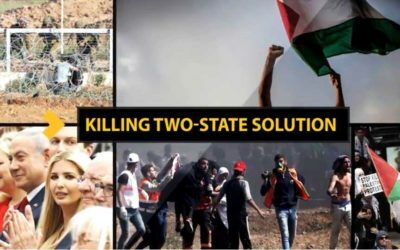 Scott Horton interviews me about how the greatest obstacle to peace between Israelis and Palestinians is the US government and how to realize a just peace. Trump’s UNRWA funding cut shows how his “deal of the century” is all about coercing the Palestinians into surrendering their rights. Israel Was Founded on Democracy? Let’s Dispense with This Nonsense. 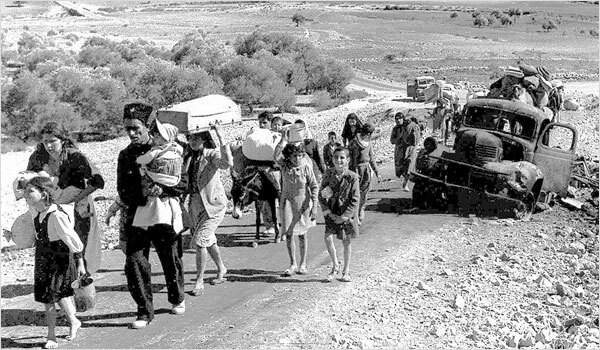 Israel wasn’t founded through any kind of democratic process, but through the ethnic cleansing of most of the Arab population from their homes in Palestine. Sheri Oz attacks my book “Exposing a Zionist Hoax” to sustain the Zionist lie that no Palestinian national movement existed prior to Israel’s establishment. 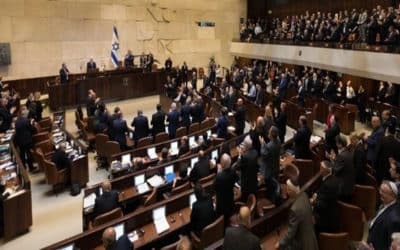 Israel’s Jewish Nation State Law can’t be a departure from the democratic principles it was founded on for the simple reason that it wasn’t founded on any. 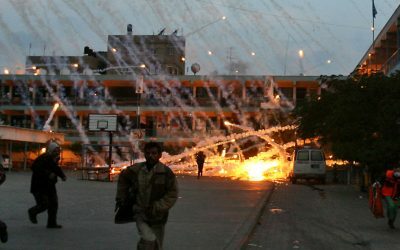 The US has long supported Israel’s illegal Gaza blockade, a policy of collectively punishing the civilian population of Gaza for living under Hamas’s rule. Zionists pile lie upon lie to sustain their defenses of Israel’s egregious crimes against the Palestinian people. Don’t they get that truth will prevail? My new book “Exposing a Zionist Hoax” takes down Elan Journo’s new book “What Justice Demands”, utterly demolishing this shameless work of propaganda. In this interview with Press TV, I explain why Trump moving the US embassy to Jerusalem actually presents an opportunity to move forward toward a just peace, why US policy is so overtly prejudicial toward Palestinians rights, and what the major obstacles are that remain to be overcome. Despite my having explained the truth to them, Press TV misinforms its audience that the status of East Jerusalem under international law is “controversial” (it’s not) and that the goal of the so-called “peace process” was to realize the two-state solution (it wasn’t). 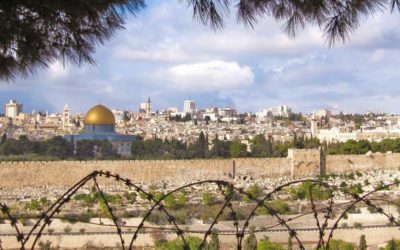 In “Palestine’s Horizon: Toward a Just Peace”, Richard Falk emphasizes the present need “to take stock, and reformulate a vision and strategy to guide the Palestinian struggle”. The book is an invaluable contribution precisely because it goes so far in doing just that. 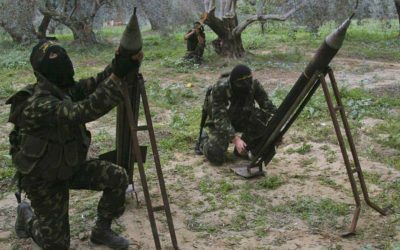 The New York Times claims that, until the demonstrations began in Gaza last month, Hamas had been firing “a fairly steady tempo” of rockets at Israel. In fact, it had been firing none. 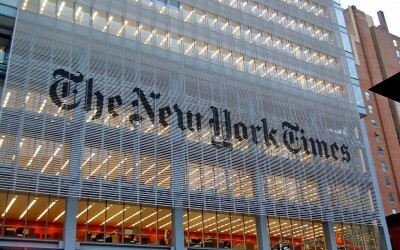 The New York Times initially blamed the Palestinians for the outbreak of violence that left Gazans dead and wounded on March 30. A subsequent Times editorial tacitly acknowledges that initial report was Israeli propaganda masquerading as journalism. What’s Behind Israel’s Violence Against Unarmed Protesters in Gaza? The calculation of Israeli policymakers is that they must forcibly repress any form of resistance to their occupation regime, including non-violent resistance like protests. 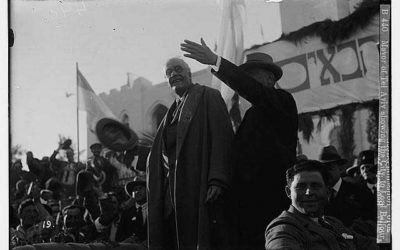 Author Jack Frank Sigman continues his vain attacks on my work on the Palestine conflict. In this useful illustration of how Zionists sustain their worldview, he attempts to support his accusation that I’m a liar by demonstrably lying! Jack Sigman’s personal attacks against me are a useful illustration of how Zionists sustain their worldview through willful ignorance of the facts. 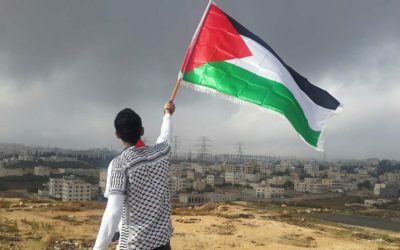 Supporters of Palestinians’ rights should not make the mistake of equating the goal of the US-led so-called “peace process” with the two-state solution. You’ll learn more about the Israeli-Palestinian conflict listening to this one interview than you would in a lifetime of consuming information about it from the US mainstream media. If you want to truly understand this issue, this is a must-listen discussion. 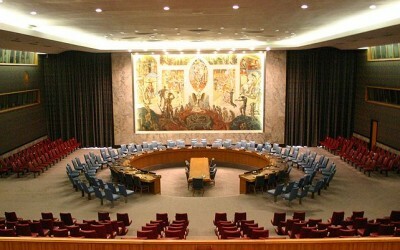 Contrary to the popular Zionist myth upon which the entire so-called “peace process” was premised, UN Security Council Resolution 242 requires Israel to fully and immediately withdraw its armed forces from occupied Palestine. 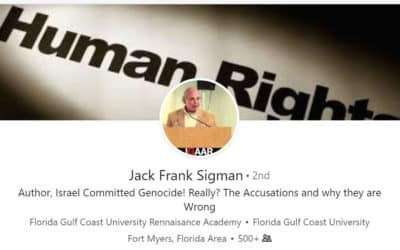 Zionist Jack Sigman attacks me and my writings on Palestine, but his arguments serve only to reveal his own racist rejection of Palestinians’ rights and willful ignorance of the facts.